Amid expanding markets such as digital commerce and streaming video, other growing markets can, from time to time, be stepped over and missed. But that doesn't mean they aren't opportunities. One such market is e-sports, and it's one that I've been on the periphery of for some time now; but even I tend to take notice when the market for this form of content consumption is set to grow from $493 million in 2016 to $660 million this year, and more than $1.1 billion in 2019. That's remarkable growth, fueled by a growing base of global enthusiasts, and one that is seeing Corporate America sit up and take notice. That's right. As amazing as it might sound, more than 20 years after the first video game tournaments, top e-sports tourneys now draw audiences that rival the biggest traditional sporting events. A decade ago, amateur competitions drew a few thousand fans in person and over the Internet. In October 2013, 32 million people watched the championship of Riot Games' League of Legends on streaming services such as Twitch and YouTube -- that's more than the number of people who watched the TV series finales for Breaking Bad, 24 and The Sopranos combined; it's also more than the combined viewership of the 2014 World Series and NBA Finals. In 2015, Twitch reported more than 100 million viewers watch video game play online each month. According to the Entertainment Software Association, more than 150 million Americans play video games, with 42% of Americans playing regularly. The key takeaway from this litany of statistics is the e-sports market has continued to grow. And it is poised to continue doing so, as casual-to-serious players become tournament viewers. In the last few months, streaming service Hulu has picked up four new series that are centered around e-sports as part of its move to replicate the success at Netflix (NFLX - Get Report) and Amazon (AMZN - Get Report) in their push to create original and proprietary content. Another sign that e-sports are turning into a big business was at ratings company Nielsen (NLSN - Get Report) , when it launched a new division focused on providing research on e-sports. One of the opportunities being assessed by Nielsen lies in measuring the value of e-sports tournament sponsorships. In 2017 there are more than 50 such events, with recent and current e-sports tournament sponsors including Coca-Cola (KO - Get Report) , Nissan, Logitech (LOGI - Get Report) , Red Bull, Geico, Ford (F - Get Report) , American Express (AXP - Get Report) and a growing list of others. Tournaments streamed to everyone over Twitch.tv have reported five million concurrent viewers for Dota 2 and 12 million concurrent viewers for League of Legends. And these viewers tend to be the ones consumer product companies want -- more than half of e-sports enthusiasts globally are aged between 21 and 35 and skew male. That's the sound of disposable income you hear -- and so do those sponsors. 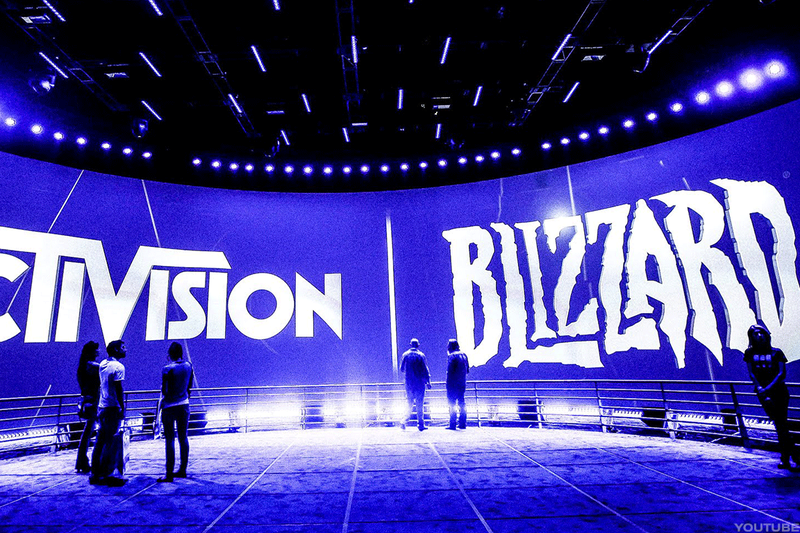 Activision Blizzard is huge in e-sports. When I see a market like this one, with these characteristics and all the confirming data points to be had, it means looking at which companies are poised to benefit. In this case, that means interactive gaming content ones like Electronic Arts (EA - Get Report) , Activision Blizzard (ATVI - Get Report) and Take-Two Interactive (TTWO - Get Report) among others. The most recent monthly videogame sales data published by NPD Group showed robust year-over-year sales, up 39% to $1.21 billion. Breaking it down, software sales soared 49% due to the continued shift to console and portable platforms and away from PCs, and hardware sales rose 34% vs year ago levels. The top three games of the month were Activision's Destiny 2, NBA2K18 by Take Two and Madden NFL 18 by Electronic Arts. That set the stage for third-quarter 2017 earnings for these companies, especially given that in September Activision's Destiny 2 became the best-selling game of 2017 year to date. Earlier this week, Electronic Arts shared on its third-quarter 2017 earnings call that among its growth priorities is the expansion of live services, which includes the integration of the company's e-sports business across more gaming titles. As such, EA sees competitive gaming becoming a greater piece of its portfolio, as it builds on Madden NFL Club Championship, the first e-sports competition to feature a full roster of teams and players from a U.S. professional sports league. Tournaments to represent all 32 NFL teams are already underway. Meanwhile on Activision Blizzard, the investment question we have is what is the opportunity to be had in 2018 with Overwatch vs. the investment required to launch the league. The answer will help determine how much additional upside there is to be had near term, following the meteoric rise of ATVI shares this year -- up more than 80% year to date vs. 24.8% for the Nasdaq Composite Index and 15.2% for the S&P 500. Based on what we hear, I'll be looking for opportunities inside the Stocks Under $10 mandate that will enable us to capitalize on the more than favorable growth prospects for e-sports. Stay tuned. This commentary was first sent to Stocks Under $10 subscribers at 08:15 am ET on Nov. 2.